Combining sophisticated color and the timeless paisely motif, Paddock Shawl is a classic Waverly fabric. Printed on a soft cotton sateen fabric, our Paddock Shawl Lined Tailored Swag will bring an understated elegance to any room. One pair of swags will work well for windows up to 60" wide, as pictured above. 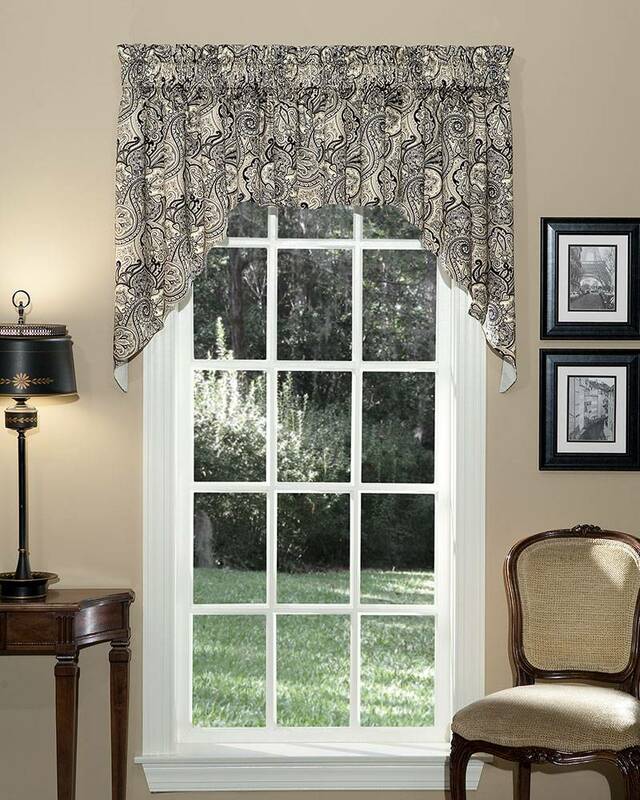 For wider windows, and for mutiple windows that are being treated as one window, combine with Paddock Shawl Lined Tailored Insert Valances (sold separately). (Insert valances between the right and left swag panels.) Paddock Shawl Lined Tailored Swags are fully lined for enhanced weight and protection from harsh sunlight. A Pretty Windows exclusive, made in the USA.